Little Bo is turning 3 in January, and I’m really excited about the toys she is finally old enough to start enjoying. My inner child is a little bit jealous–I won’t lie. But finding good gift ideas can be difficult. I’m pretty picky about the toys I buy: I want to get a lot of bang for my buck, promote skill development, and hopefully get her toys that will last a while–both because they have great replay value but also because they are solidly built! If you remember my post on toddler toy ideas, you’ll know I’m not a huge fan of toys that aren’t very open ended, that require batteries, or that don’t have a lot of educational value. And there are a lot of toys like these on the market. 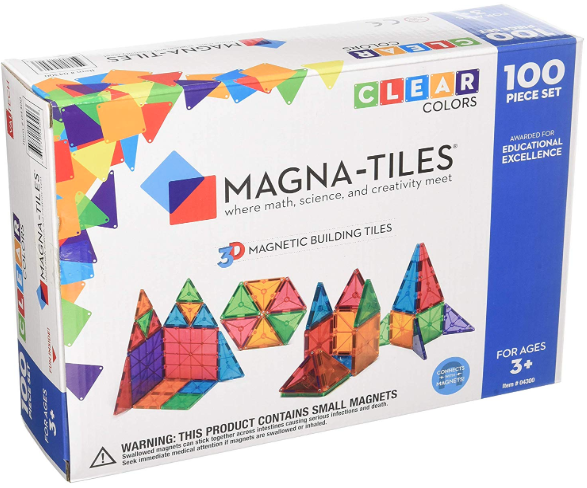 I have only ever heard amazing things about Magna-Tiles. We haven’t purchased any for Little Bo yet because they can be expensive, so if you see them on sale or find them second-hand, snap those babies up! With a solid 5 star review on Amazon out of over 1900 reviews, you simply can’t go wrong. 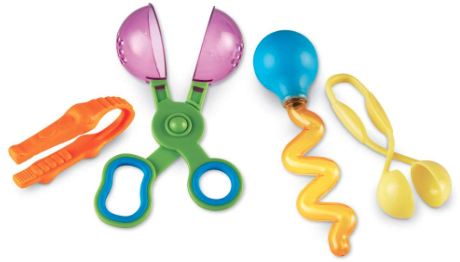 These things can keep kids entertained for hours. A slightly less expensive, but still highly reviewed alternative, are Magformers–same basic idea. Lego Duplos are very popular in our house. We got Little Bo some for Christmas last year, but she didn’t really “get” them just yet. She still enjoyed playing with certain pieces, but she’s at an age where she’s starting to have fun building with them. 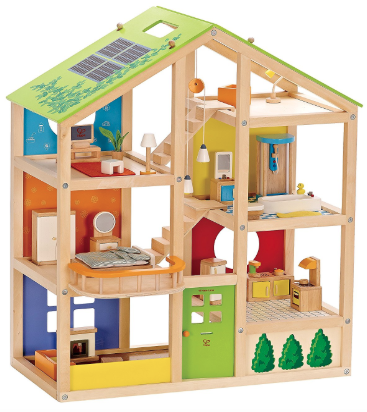 The house set shown above is on her wish this list year! You can pick up Lego Duplos for a good price on Amazon, and sometimes places like Ross or Marshalls has them for reduced cost as well. While certainly less shiny and colorful than Legos or Magnatiles, Lincoln Logs are a classic toy that I loved playing with as a kid. Building fancy multi-story houses with my dad using these bad boys was a highlight of my childhood–and it helped teach me to follow more complicated directions! 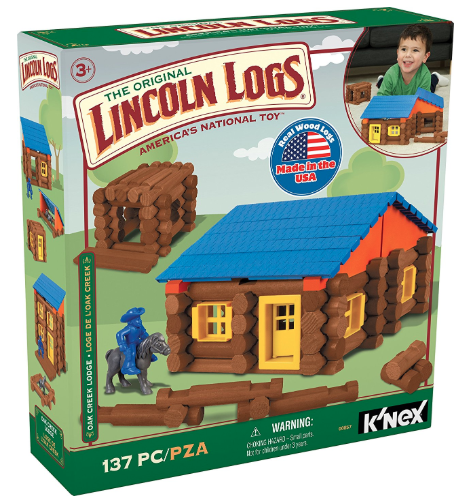 I didn’t really appreciate Lincoln Logs until I was closer to 5, so this might be best for an older preschooler. Or, if you find any on sale, buy now and gift later. I’m a HUGE fan of Crayola Mess Free Anything. I cannot tell you how many walls and pieces of furniture I’ve spared thanks to Mess Free markers in particular! I was a little afraid that they would teach my daughter that it’s okay to draw anywhere, but as she’s gotten older she’s realized that markers are for paper–even markers that only color on special paper, like these. 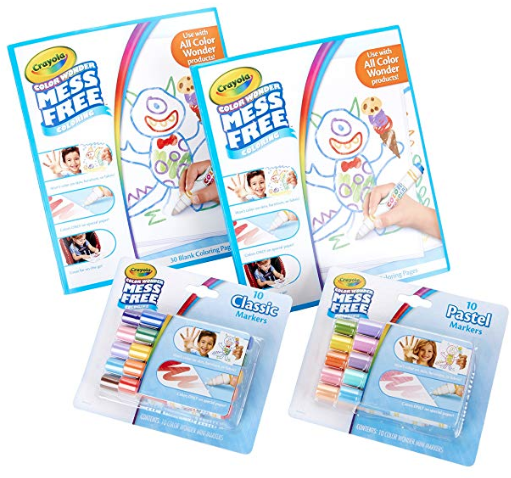 You can check out Crayola’s entire Mess Free line here. 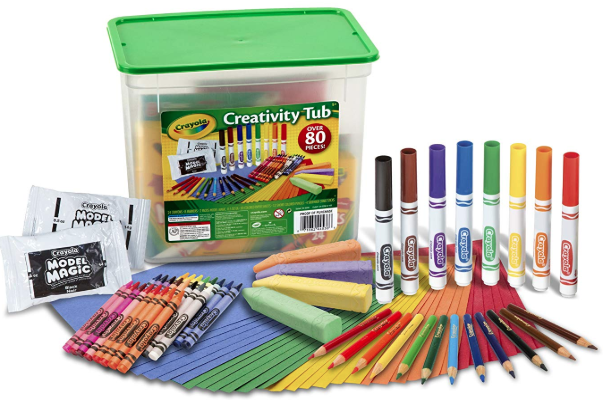 You cannot go wrong with art supplies for kids, basically ever! 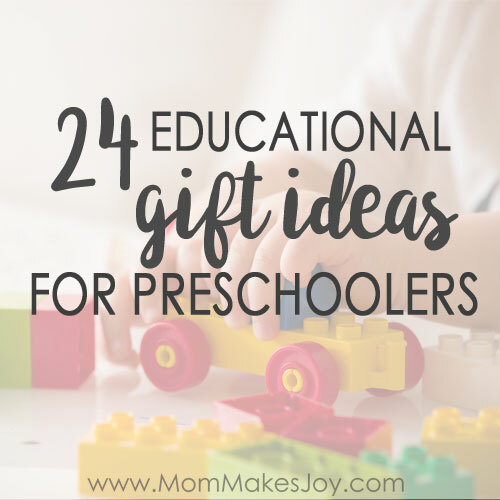 In preschoolers, they’re a great way to promote fine motor skills. I stocked up on construction paper, markers, colored pencils and crayons and sidewalk chalk for homeschool purposes back in August, but we haven’t gotten into them too much–mostly because with a newborn I wasn’t able to watch her with them like I needed to. But now that she’s almost 3 and the baby is bigger? We’re going wild! This Helping Hands Fine Motor Tool Set came recommended to me by an occupational therapist AND a preschool teacher as a great way to help kids develop fine motor skills through play. These make a great addition to a sensory bin! 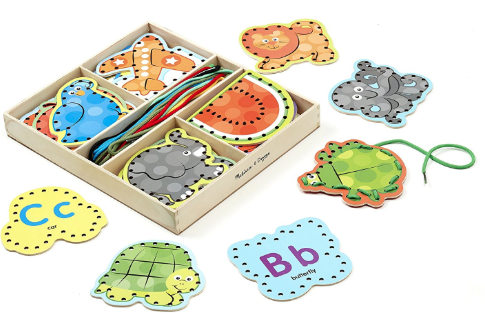 These Melissa and Doug Lacing Cards are great for letter recognition, vocabulary, hand-eye coordination, and fine motor skill building. It took Little Bo a bit to “get” how to lace, but she loves them now! Melissa and Doug makes a smaller and more affordable set of lacing cards to start with if you just want to get your feet wet. 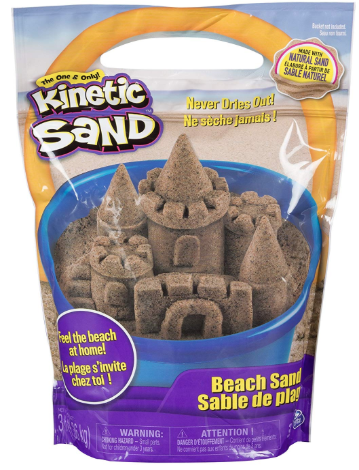 So I’m 28 years old at the time of writing this, and even so I am ALL over Kinetic Sand! I’ve tried a few DIY kinetic sand alternatives through Pinterest, but too many were too greasy, so I’ve found I prefer the real deal. This is AWESOME in sensory bins. I made my own sensory table following this tutorial. 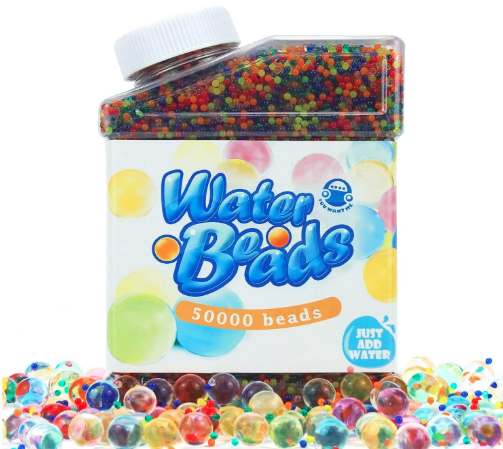 Water beads are one thing we haven’t played much with that I am thinking I will get Little Bo this year–now that she is old enough to not want to put everything in her mouth! These are a fun way to teach color recognition, patterns, counting, and support fine motor skill development. Play-Doh is super popular in our house, and it’s super cheap! 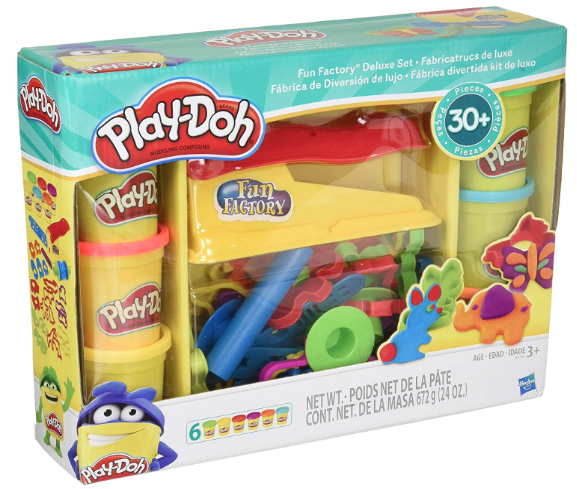 We actually got Little Bo a Play-Doh set like this when she was much younger, but she was too little to really understand how to use the shape cutters and we had to watch her closely or she would try to eat it. She “gets” the whole Play-Doh concept much more now. 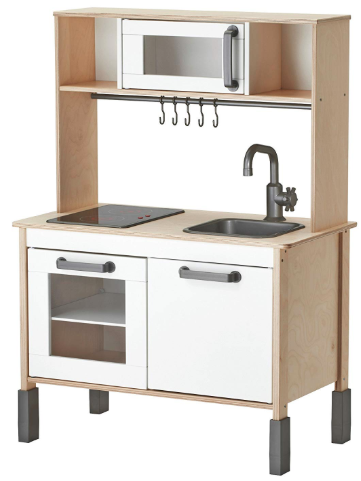 …But I like the simplicity of this Ikea kitchen playset, especially since this will be on display in my house for some time to come. 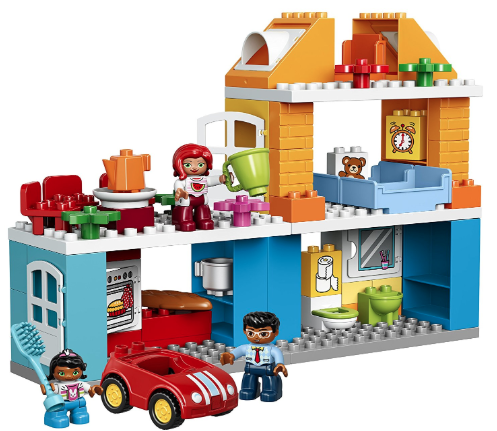 The Ikea set also has more room for storage, I believe, and the burners even light up! 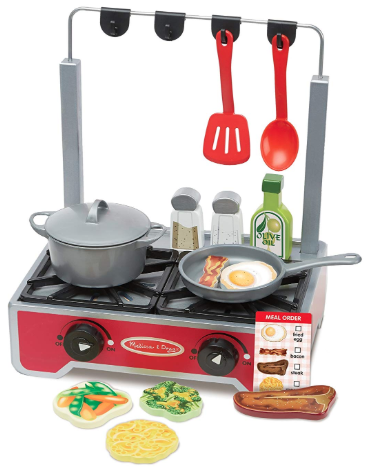 If you’re short on space in your home, the Melissa and Doug Cooktop Playset might be a great alternative! Its smaller size makes for easier storing. It’s also more affordable. I’ve seen some moms make their own cooktop by adding/drawing on “burners” to the top of a large plastic storage tub. You can use the inside of the tub for storage of fake food and play pots/pans/utensils. 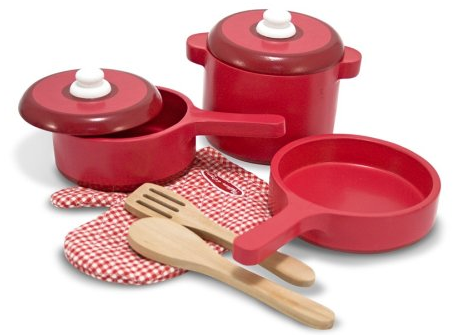 I love these wooden pots and pans by Melissa and Doug (I’m a big M&D fan if you haven’t noticed yet) because these tend to be a bit quieter than their steel set. And of course, don’t forget to stock your kitchen with play food! 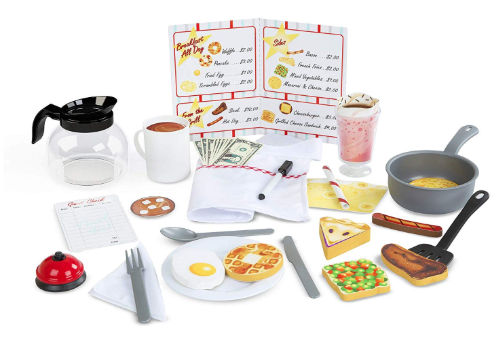 In keeping with our “cooking” theme, this Melissa and Doug Diner Playset would also be a great addition! If you have some design skills, it would be easy to recreate this playset using play food you already have and some DIY menus. I loved playing doctor when I was a kid, and Little Bo loves cats and dogs. 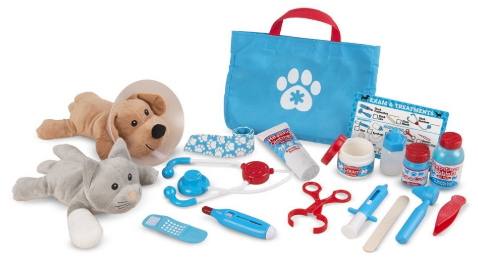 This Melissa and Doug vet playset would be the perfect addition to her pretend-play arsenal! 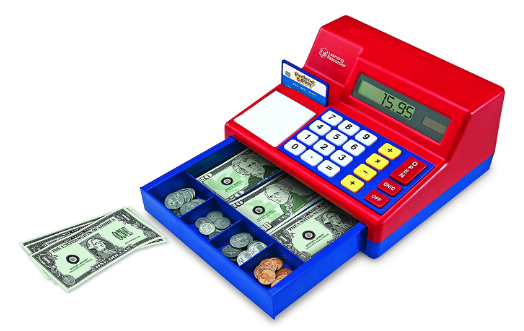 Likewise, a play cash register makes a great gift. Use to it teach basic addition, subtraction, how to count money, how to use a calculator, and about buying and selling. This cash register doesn’t require batteries and is actually the same one I had as a kid! My friend’s little boy has a mat just like this Melissa and Doug Activity Road Rug playset and Little Bo is all over it when we go to his house, so I added it to her wish list this year. Nothing wrong with little girls playing with cars! When I was three, my parents bought me a dollhouse for Christmas (Santa brought it, actually) and I was pretty sure I had died and gone to heaven. 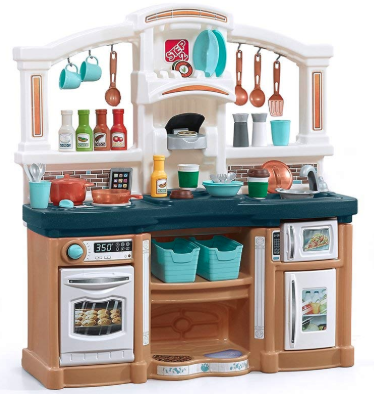 This year I’m torn between this dollhouse and the kitchen playset for Little Bo. Both I think would provide hours of fun and a ton of replay value. I love this dollhouse set in particular because it’s visually interesting, but still simple and gender neutral. For now, Little Bo has her Fisher Price Little People dollhouse she got for her birthday a couple years ago, and she still enjoys playing with it. My husband is a big board game fan. He’s into complicated strategy board games, the kind that take hours to play. Not exactly my cup of tea, but I can get behind a good board game once in a while. The Mr. is really excited to introduce Little Bo to the world of board games, and she has a few, including Candy Land and Seek A Boo (which I also recommend). 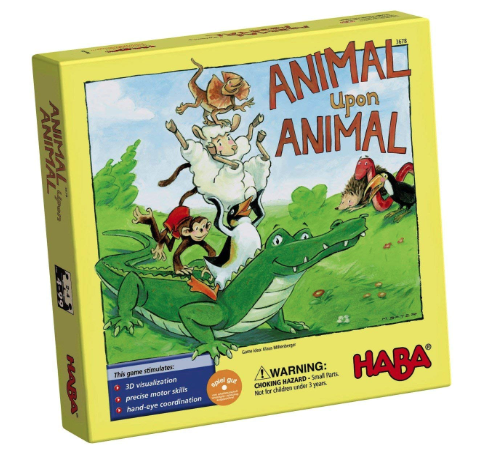 This year, I was thinking she might like this stacking animal game called Animal Upon Animal that got great reviews on Amazon. 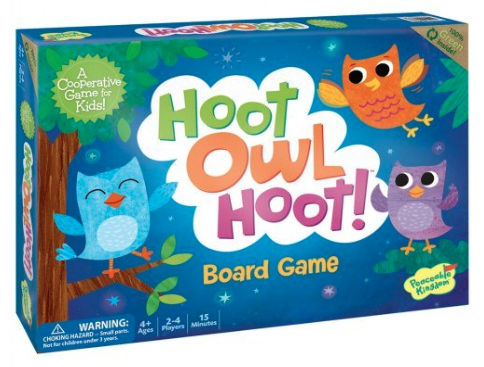 If you’re interested in exploring board games, I highly recommend just about any Peaceable Kingdom game. Little Bo has Count Your Chickens, and while it’s a little advanced for her (while she can count just fine, her attention span for counting high is limited) it’s super easy to modify. She also has Bunny Bedtime, which is one of her favorites and a great game for younger kids. And BOOKS! You can never ever ever go wrong with books, in my opinion! Recently Little Bo has become obsessed with The Cat in the Hat after a brief love affair with Hop on Pop and Green Eggs and Ham. She has memorized all of them and “reads” them to herself during quiet time. 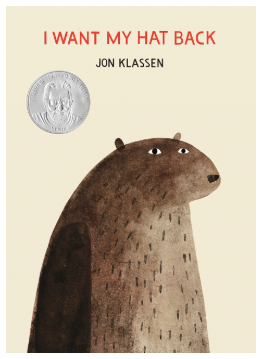 One book in particular that I’d love to get her is I Want My Hat Back, which even as an adult made me chuckle quite a bit. 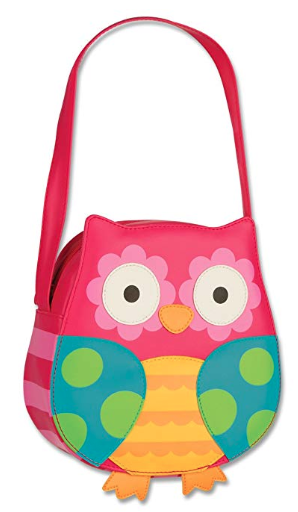 Just because, I’d love to get Little Bo a little purse. My mom had a little purse when she was a little girl and carried it everywhere. For practical reasons, though, a purse would be nice for Little Bo to carry her toys in. She likes to bring Lego Duplo blocks and her Fisher Price Little People with her when we go shopping. At least this way maybe she won’t drop them as much! 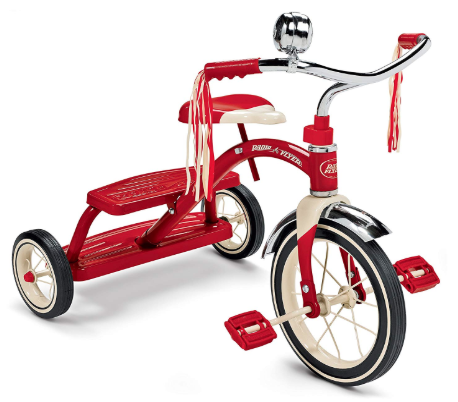 We bought Little Bo this awesome tricycle, but it was too hot to go out and ride it much. We put it away and I’m about 98% sure she’s forgotten about it. So I think now that the weather is cooler, we will bust it out again! I was a bit worried that this tricycle wouldn’t fit her for very long, but I think it will last a good few years, at which point we can do a regular bicycle and Bo’s little sister will be ready for this one. And lastly, a solid table and chairs set is always useful for preschoolers! Something their size they can eat at and sit comfortably on. Little Bo has a set we got at Target that she uses for everything. 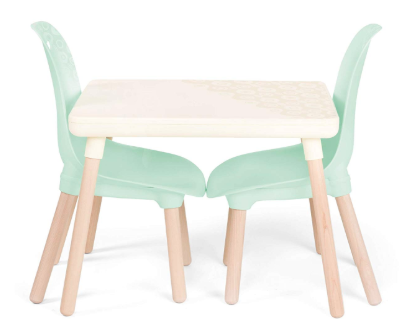 I loved this one here in particular–it got great reviews and mint is one of the colors we decorated Little Bo’s room, so it was perfect. So There you have it! My top toy picks for preschoolers. Which ones are favorites in your house? P.S. DISCLOSURE: This post may contain affiliate links, meaning I will receive a small commission on products purchased through these links at no extra cost to you. Please see my FAQs and disclosure policy for more information.